What is the Community Resource Center? The FOR Community Resource Center is located at 500 Charters Ave in McKees Rocks and provides direct services to the community (parents, guardians, case managers). Focus On Renewal serves as the lead coordinator to linkage services. On site program assistant Ed Kinley is available 5 days a week. Committed to providing compassionate support to those in need who face behavioral health, co-occurring disorders, or IDD challenges as they transform their lives. Administrative Case Management, service coordination, psychiatrist and social worker will be at healthcare site. Will provide a behavioral health case manager at the CRC, site based and outreach in community, case manager will be mobile. We provide linkages rather than a direct provider of services. Our Pathways program* helps you make and achieve goals. Some people want to get a job, other want to get an education. People can be enrolled in this free program for as long as it takes to become self-sufficient! Sto-Rox Family Health Center serves as a primary linkage partner in the community to meet the physical and health needs of families or individuals participating in programs. 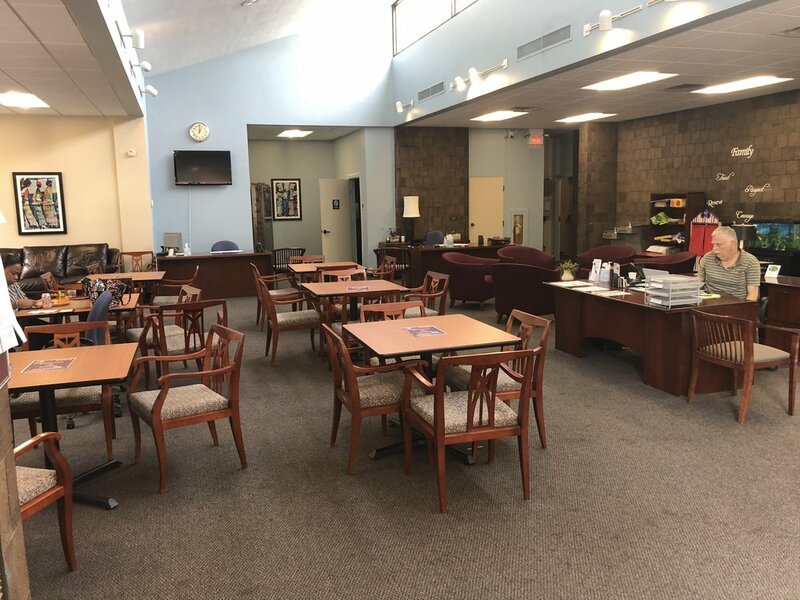 The CRC is a transportation depot to New Horizons drop-in center located in Bellevue offering advocacy services, peer support, a free nutritious lunch and many other mental health resources. It is located at 616 Lincoln Avenue, Bellevue, PA 15202. The hours of operation are Monday through Fri from 9:00am to 5:00pm. The phone number is (412) 766-8060. Membership is free. Healthy Parenting McKees Rocks provides FREE instruction to parents/caregivers who are involved with children ages 0-12 . An evidence based curriculum is used with certified Triple P (Positive Parenting Program) instructors. Caregivers can participate in hour long classes for 8 weeks (free child care provided) or choose to receive one on one support with hour long session for 10 weeks. The course teaches parents strategies to encourage their child’s social and emotional self-regulation, reduces parent/child conflict and eases the stress of parenting. Felice Fleming at 412-447-1493 or e-mail ffleming@achildsplacepa.org. The Community Resource Center provides a community of choice, hope and purpose where all neighbors can thrive. The Community Resource Center is a welcoming and safe space which provides opportunities for active transformation for our neighbors to reach their full potential. We see ourselves as one community working together to achieve a common vision with common values. We are a dynamic, flexible, multi-agency team working together to both integrate and innovate seamless service delivery. We adapt to the needs of the community through open communication, coordination and collaboration to ensure excellent customer service and hospitality. We hold ourselves accountable to our neighbors, each other, and our funders.